The global warming situation is absolutely crazy. Millions of people are already experiencing drought, famine, floods, wildfires, superstorms and other climate disasters. As a species, we are teetering on the edge of full-blown catastrophe, with extinction a distinct possibility. Yet, we can’t seem to put in place obvious solutions that are sitting right there in front of us. Even crazier, environmentalists repeatedly praise Democrats for phony climate action plans that don’t come close to what’s needed. Take the “100 by ‘50” legislation recently introduced by Oregon Senator Merkley and other Democrats. Environmental leaders lined up to celebrate this as the blueprint that will get us beyond global warming, even though it’s nothing of the sort. Some environmentalists used their endorsements to denounce Republicans for being funded by the fossil fuel industry, deftly ignoring the funding received by Democrats from that same industry. The message was clear: when we put Democrats back in power and pass a bill like “100 by ‘50”, we’ll be on our way to solving the climate crisis. This is pure hogwash. The Democrats have kept us running in circles as the climate crisis has deepened. And although this new bill purports to get us to 100% clean and renewable energy by 2050—hence the catchy title—it almost certainly won’t do that. Yes, it is “the most ambitious piece of climate legislation Congress has ever seen”. But that’s only because prior offerings were so pathetic that “100 by ’50” seems ambitious in comparison. It’s crucial that we understand this as Donald Trump and the Republicans move forward with their horrifying agenda. More than ever, we need to be uniting behind a real climate action plan and the broader vision for society it engenders. We need to be building a movement that has a clear understanding of where our power lies and how to use it. According to 350.org founder Bill McKibben, “(i)nstead of making changes around the margins”, the “100 by ’50” legislation would finally commit America to “wholesale energy transformation.” If only this were true. Continuing Fossil Fuel Production. Let’s start with the fossil fuel side of things. To address global warming, we must keep most of the remaining oil, gas and coal in the ground. The “100 by ’50” legislation doesn’t do that. The bill does contain a “fossil fuel moratorium” of sorts. Beginning in 2021, the federal government would no longer be allowed to approve permits for new infrastructure: refineries, certain gathering lines and pipelines, export-import facilities, and fossil fuel-based electric generating facilities. The legislation does nothing, however, to end the use of existing infrastructure or to rescind all those lucrative permits and leases that fossil fuel companies already have. In fact, there isn’t even a moratorium on authorizing new fossil fuel exploration and extraction. To grasp just how inadequate the “100 by ’50” moratorium is, we need to understand what happened over the last eight years. There’s some confusion on this subject because the same environmentalists now doing backflips over “100 by ’50” also lavished undeserved praise on Barack Obama for his supposed climate “leadership.” With Donald Trump now in office, they speak nostalgically of Obama’s “climate legacy” as if it were something to be proud of. But Obama and his Party have not been climate heroes. They’ve been climate destroyers. Throughout his two terms in office, Obama avidly served the fossil fuel industry. He opened up vast new offshore areas for drilling, even in the wake of the BP nightmare. He delivered giant leases to coal corporations. Obama’s fracking rules were designed to reduce pollution at fracking sites “without slowing natural gas production.” And as fracking proliferated in the U.S., Secretary of State Hillary Clinton vigorously promoted it in other countries. Tens of thousands of miles of pipelines were constructed in the U.S. with Obama’s enthusiastic blessing. Thanks to this agenda, production of oil and gas in the U.S. skyrocketed, reaching record highs under Obama. While coal production declined due to cheap natural gas prices and new power plant regulations, it is still massive. After all, coal is still being burned domestically, and shipping it abroad is profitable too. Speaking of exports, Obama ended the ban on crude oil exports, and paved the way for natural gas exports by approving liquid natural gas (LNG) facilities, among other things. As a result of all this, vast quantities of greenhouse gases were pumped into the atmosphere under Obama’s Democratic Administration, bringing us closer to environmental catastrophe. Fossil fuel corporations also positioned themselves to continue flooding our world with fossil fuels for decades to come. “New pipeline infrastructure should accommodate expected rise in Permian oil production,” a recent U.S. government article announced, referring to the Permian Basin of western Texas and eastern New Mexico. The same dynamics are at play elsewhere. Meanwhile, existing leases on federal land can sustain current coal production levels for 20 years. And LNG World News reported in January that,“[t]he U.S. is expected to become the world’s third-largest LNG supplier by 2020 with an export capacity of 60 million mt [metric tons] coming from five export terminals.” As a result of Obama Administration policies, the fossil fuel industry is sitting pretty. Corporate CEOs have every intention of making good on their investments. In short, the “100 by ’50” moratorium on certain new infrastructure beginning in 2021 is way too little, way too late. The same is true of the bill’s elimination of the fossil fuel subsidies that corporations used to build their empires. Awash in riches, controlling game-over volumes of fossilized carbon, and equipped with massive infrastructure and distribution capabilities, fossil fuel corporations will undoubtedly keep on keeping on. Even without subsidies or additional infrastructure, they will, if allowed, continue their mission to pull every last bit of fossil fuel from the Earth. Inadequate Promotion of Alternatives. So much for making sure corporations leave fossil fuels in the ground. What about the other things that need to happen to reverse course on global warming? What does “100 by ’50” do to reduce demand for fossil fuels and to deploy renewable energy alternatives? Again the answer is far too little, far too late. * Electric suppliers must gradually reduce the percentage of electricity they provide from fossil fuels. The cap starts out at a whopping 70% in 2022 (many suppliers already do better than that right now) and finally ratchets down to 0% by 2050. Because the law regulates percentages of fossil fuel energy rather than emissions, increased consumption could undercut emissions gains, at least during the early years. The plan also allows nuclear energy to be used to meet the caps. And, credits are available enabling some electric suppliers to delay compliance. * In 2030, at least 30% of the vehicles produced in the U.S. must be zero emissions vehicles. By 2040, the percentage reaches 100. Offsets may be used by some manufacturers to slow the pace of compliance. Big whoop! We have to wait 33 years—a full generation—to break free of fossil fuel-based electricity, and four years before unimpressive first steps towards that goal are mandated. We have to wait a quarter of a century for vehicle manufacturers to do what they could do now, and 13 years for them to be required to take initial small steps in that direction. These timelines are thoroughly inadequate. Some experts say we could well reach the point of no return on global warming within the next decade; some believe we’re too far gone already. Others don’t consider humanity’s demise quite so imminent, but virtually everyone except climate deniers agrees that there is no time to waste. We need real progress against global warming now, not years from now. To make matters worse, the requirements imposed on electric suppliers and vehicle manufacturers are the only actual enforceable mandates in “100 by ‘50” with respect to reducing demand for fossil fuels and expanding renewables. The legislation’s main emphasis is on extending tax credits and creating lots of new grant and loan programs. Various entities can use these tax credits, grants and loans to put up solar panels, increase energy efficiency, improve public transit, and more. In short, “100 by ’50” relies heavily on incentivizing needed actions instead of mandating them. “100 By ’50”: A Recap. That’s it. That’s the grand plan for preventing climate Armageddon. A “moratorium” that doesn’t stop bloated fossil fuel corporations from continuing to flood our world with oil, gas and coal; two actual requirements related to promoting alternatives to fossil fuels that don’t kick in until well into the future, and apply to only two pieces of the global warming problem; and a laundry list of tax credits, grants and loans to incentivize investment in alternatives. There is no attempt to demonstrate that the bill will lead to needed changes and actual emissions reductions. There is no attempt to establish that it will prevent climate disaster. We’re just supposed to hope that everything works out satisfactorily. We’re supposed to have faith that renewable energy infrastructure will be put in place, energy efficiency improved, energy consumption reduced, and mass transit systems installed, at levels sufficient to displace fossil fuels. It’s treated as a given that the price of renewables will become so low that people will turn away from oil, gas and coal, and towards renewables—which could include deadly nuclear energy, by the way. 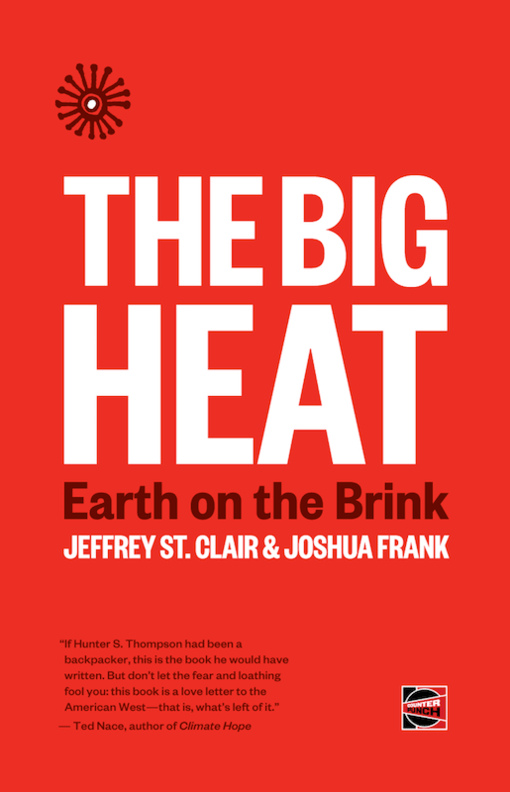 It is implied that, in the absence of subsidies and faced with growing demand for alternatives, mammoth fossil fuel corporations will see the light and leave their vast caches of oil, gas and coal in the ground. Pinning our hopes on all of this happening is madness. Clearly, there is much that could occur under the “100 by ‘50” plan to undercut its feeble attempt to prevent climate disaster. Moreover, we’ve had plenty of experience with this kind of plan already, and we know it doesn’t work. “100 by ’50” is the same old same old that has characterized Democratic Party “leadership” on climate for a long time. Tax credits in the bill are merely extensions of ones that already exist. And we already have lots of grants and loans encouraging renewables. Total annual funding under “100 by ’50”—up to $150 billion per year—likely exceeds current funding for incentives, but it is nowhere near adequate for the task at hand. $150 billion per year is short shrift for humankind’s big stand against impending climate catastrophe. Sponsors and supporters imply that the proposed legislation is on a par with what happened when the U.S. mobilized for World II, but that comparison is laughable. During the peak years of that conflict, war outlays exceeded 40% of the nation’s Gross Domestic Product (GDP.) In contrast “100 by ‘50” allocates a maximum of $150 billion per year, which is less than 1% of the GDP. I recall people telling me at least 15 years ago that we were on the verge of an energy revolution because the price of solar cells was rapidly declining. Any day now, they claimed, solar and other renewables would take off, replacing deadly energy sources. That hasn’t happened. Sure we’ve made some gains, but they’ve been grossly insufficient. Environmentalists and others have made much of exponential growth in solar, wind and other renewable technologies. But even after big increases, these technologies represent only a tiny percent of our total energy use. In 2016 wind produced only 5.6 % of the electricity in the U.S. Solar energy produced less than 1%. And guess what? Even if we deploy more renewables, and even if the percent of energy coming from renewables increases, that doesn’t necessarily mean we make progress on climate. If vast fossil fuel burning continues, it doesn’t matter that there’s also more renewably produced energy. We’re still fried. Greenhouse gas emissions in the U.S. remain depressingly high even after years of incentivizing renewables. There have been recent downturns in our emission volumes, but we’re nowhere near achieving the substantial reductions that are needed. Moreover, downturns could have more to do with economic conditions than deliberate policy. And the emissions reported for the U.S. significantly understate our actual carbon footprint. The U.S. exports fossil fuels which are burned elsewhere. We import lots of products from China and elsewhere, and the emissions associated with their production are not included in U.S. figures. Global greenhouse gas emissions have risen steadily for decades. So has the concentration of greenhouse gases in the atmosphere. The goal of returning to 350 parts per million (ppm) of CO2 now seems almost quaint. In 2016, we never dipped below 400 ppm. The “100 by ’50” bill is the same pablum we always get from Democratic Party “leaders”. It’s a dead end that diverts us from the real work that needs to be done as we slide ever more swiftly towards oblivion. What Will a Real Climate Action Plan Look Like? We have to stop pretending that feeble climate proposals put forth by Democrats are acceptable. It’s time to propose and advance a real climate action plan instead. Here’s what that will look like. Secondly, a real climate action plan will actually be based on action. Instead of “incentivizing” renewables we will put them in place, period. We will build and improve energy grids; give farmers the support they need to transition to sustainable climate-saving practices; and ban extraction, production and sales of fossil fuels. We will implement food system changes that facilitate healthy eating while protecting the climate. “100 by ’50” outlines a convoluted process that workers displaced by climate-protecting measures must go through to obtain limited relief. In contrast, a serious plan will guarantee good-paying jobs to all affected workers. It will provide for training, relocation aid, and full wages during transition periods. We will proactively identify affected workers, locations where jobs will be created, types of assistance that will be needed, and more. We will lay out in advance the measures and funding required to enforce the plan’s guarantees. A key element of climate action planning is the process that produces the plan. That process must be truly democratic. Meeting in our workplaces and communities, working people must determine the mix of actions that will solve our climate crisis and create the world we want. Care must be taken to ensure that those most affected by global warming and its solutions are key participants. Solutions must not create new injustices for local communities and indigenous populations. Thirdly, a real climate action plan will establish public ownership of the energy industry and other relevant industries under democratic management. It will not be possible to implement our plan unless we do this. Simply put, we can’t control what we don’t own. We need to hold the reins for the key decisions that determine the fate of humanity. Instead of enticing, regulating and begging corporate executives to do what’s need, we need to be able to implement climate-saving measures ourselves directly. We also need to have control over which jobs exist, what assistance is offered, and other aspects of energy employment. And we need to be in charge of the wealth produced by the energy sector so we can direct it towards solving the climate crisis. Public ownership of energy sector wealth is also essential because we need to stop creating behemoth Big Money corporations. It’s more than time to end their corrosive influence on public discourse and policy-making. Big Money corporations buy elections, ram through legislation, foment disinformation campaigns, corrupt science, create front groups, influence academia, smear activists, housebreak the news media, and more. That’s got to stop. In other words, to solve the climate crisis, we need democracy—including economic democracy. The current set-up has to go. Allowing private parties to own our major industries, managing them for private profit, is at odds with true democracy. It hands to a few individuals power over people’s jobs and lives, over wealth that should belong to us all, and over critical decisions that affect our destiny. Capitalism is incompatible with solving the climate crisis and addressing other injustices. Note that the public ownership we espouse must be under democratic management. We do not seek to create a big new bureaucracy that imposes change from above. It is truly democracy that we want. Our climate plan must specify the structures and basic rules that must be established to ensure democratic participation in planning our economy and our future. Note also that the democracy we create and the process we use to get there must be unabashedly of, by and for the working class—and only the working class. There can be no seat at the table for those representing the 1%. There shouldn’t be a 1% class. And it makes no sense to give beneficiaries of the very system we need to leave behind the ability to shape society’s plans and policies. Fourth, a real climate action plan will include an Economic Bill of Rights. Democracy doesn’t work when individuals are forced to support environmentally destructive industries because they need the jobs. It doesn’t work when people are stressed because of huge health care bills, massive college debts, and the futility of trying to make ends meet. Currently, a majority of Americans find themselves in these unacceptable situations. That leaves little time and energy for self-governance. An Economic Bill of Rights will guarantee good-paying jobs to everyone, and good incomes for those who cannot work or are retired. An Economic Bill of Rights will also guarantee free education through university and free health care. There is ample wealth to cover all of this by taxing Wall Street and the rich and defunding the Pentagon. * It will be a concrete plan that accurately identifies what we need to accomplish and details what we’ll do when. * It will be composed of mandates instead of incentives. * It will take the energy industry and other relevant industries into public ownership under democratic management. * And it will establish an Economic Bill of Rights. We have no choice but to swiftly create such a plan through a democratic process in our workplaces and communities. There is no time to waste on plans and strategies that can’t get us where we need to go, and on the political parties that espouse them. Can we develop such a plan and make the radical system changes that are needed? Absolutely! To begin, we need to stop being diverted by weak proposals put forth by Democrats. And we need to unite, like never before, with other social justice movements. The 1% forces we’re up against are powerful. But ultimately working people are more powerful, because without our cooperation goods aren’t produced, people and products aren’t transported, and services aren’t rendered. Society doesn’t work unless we do. Should we rally around another dead-end Democratic Party climate plan? Hell no! It’s time to start acting like we live in a democracy, developing and implementing a real plan that averts climate catastrophe and creates the world we want. Carol Dansereau is a long-time environmental attorney and organizer, and the author of What It Will Take. Rejecting Dead-ends and False Friends in the Fight for the Earth.